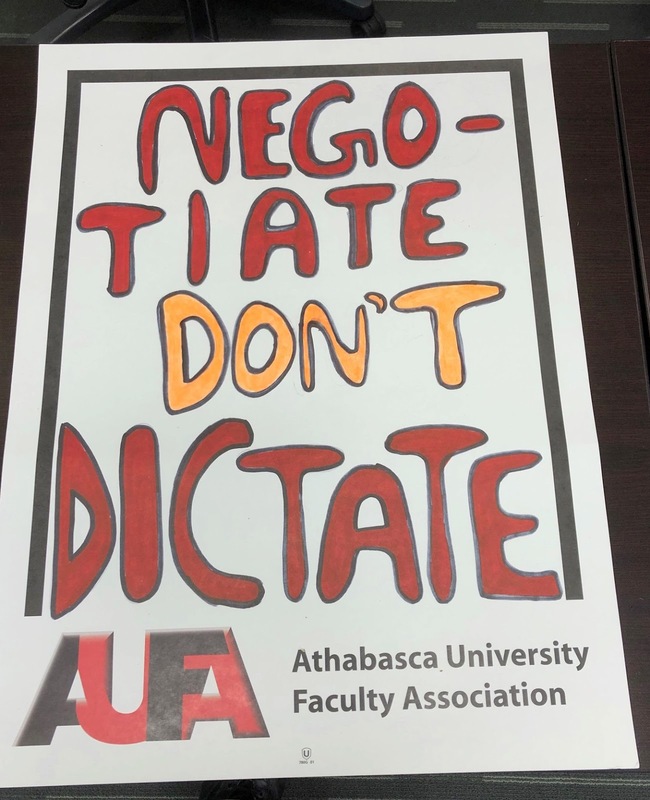 Last week, bargaining between the Athabasca University Faculty Association (AUFA) and Athabasca University (AU) broke down. In short, AUFA determined there was no point in continuing bargaining after AU indicated was not prepared to withdraw its proposals for language rollbacks or consider any AUFA proposals for language improvements. 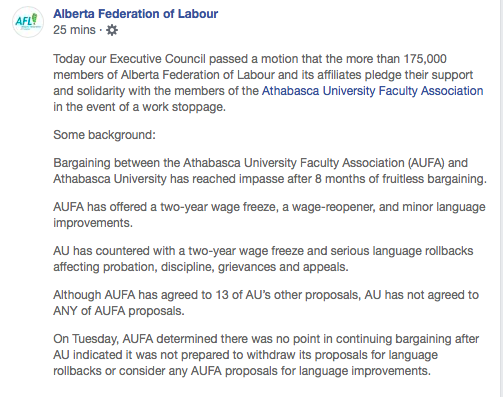 The provincial settlement pattern in Alberta is clear: a two-year wage freeze, a wage-re-opener in years 3 and 4, and language improvements for the workers (to off-set the wage freeze). Tens of thousands of public-sector workers have come to this agreement with their respective employers. AUFA’s last global settlement offer mirrored this pattern. 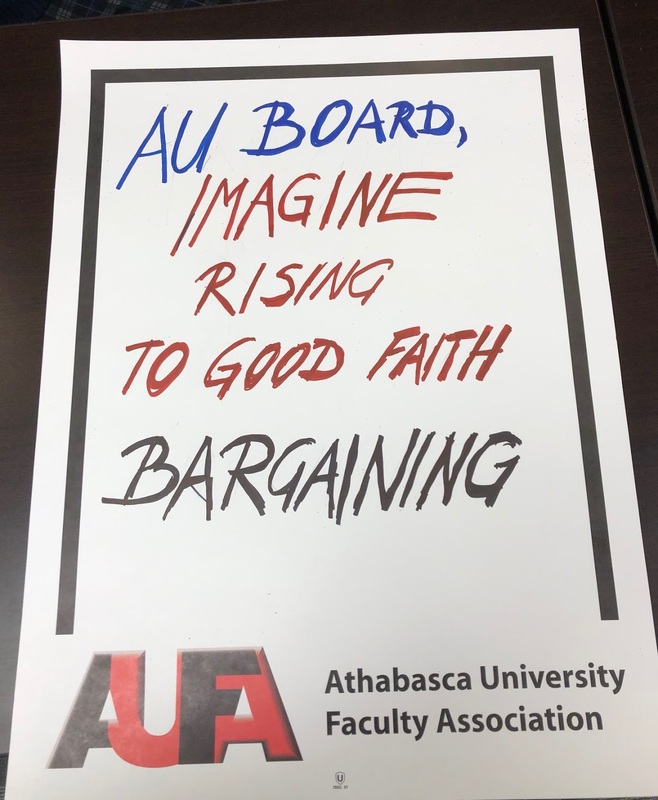 AU rejected this offer, instead insisting on a two-year wage freeze and rollbacks in language on professional staff probation, discipline, grievances and appeals. 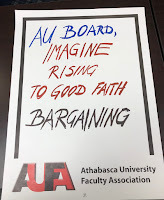 AUFA’s membership has been clear: it will not ratify any agreement with these sorts of rollbacks. AU appears to have stopped pushing its odious company-doctor proposal. 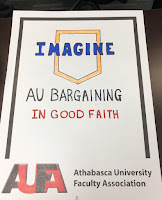 Nevertheless, the facts are that, over the course of 8 months of bargaining, AUFA has agreed to 15 of AU’s proposals and AU has agreed to none of AUFA’s proposals. There is no further room for AUFA to give. 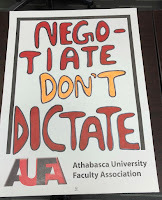 The declaration of impasse moves AU closer to a work stoppage by its academic and professional staff. A work stoppage would entail significant operational disruptions. 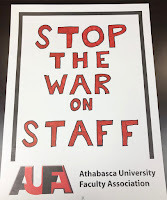 The single largest disruption is likely to be the cessation of instruction for approximately 5000 students directly taught by AUFA members. There will also be numerous administrative disruptions. While a timeline for a work stoppage is hard to predict, June is a good bet. 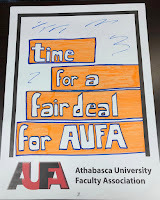 With the impact of a work stoppage in mind, AUFA and AU have been negotiating an Essential Services Agreement (ESA). An ESA is designed to ensure the continuation of services that the cessation of which would endanger the health, safety, or life of the public. 1. Counselling services: AU students experiencing academic and administrative difficulties can access AU counselling services. These difficulties can cause or exacerbate mental-health concerns. AU’s counsellors identify and seek to de-escalate mental-health crises while also assisting students to resolve their more practical concerns. 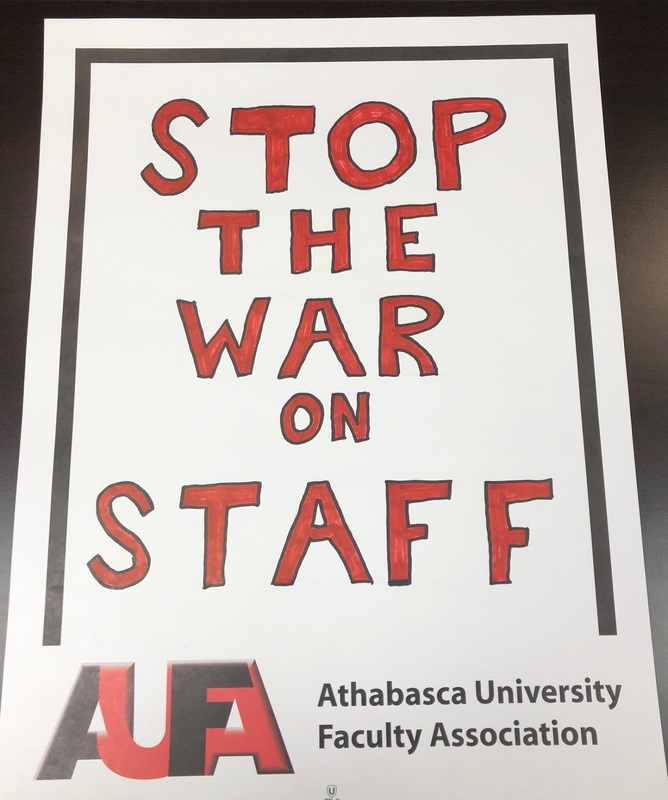 This service should continue during a work stoppage, which will entail an increase in academic and administrative difficulties. 2. Instruction in the GCAP program: Graduate students in AU’s counselling program provide counselling services to about 1000 clients. 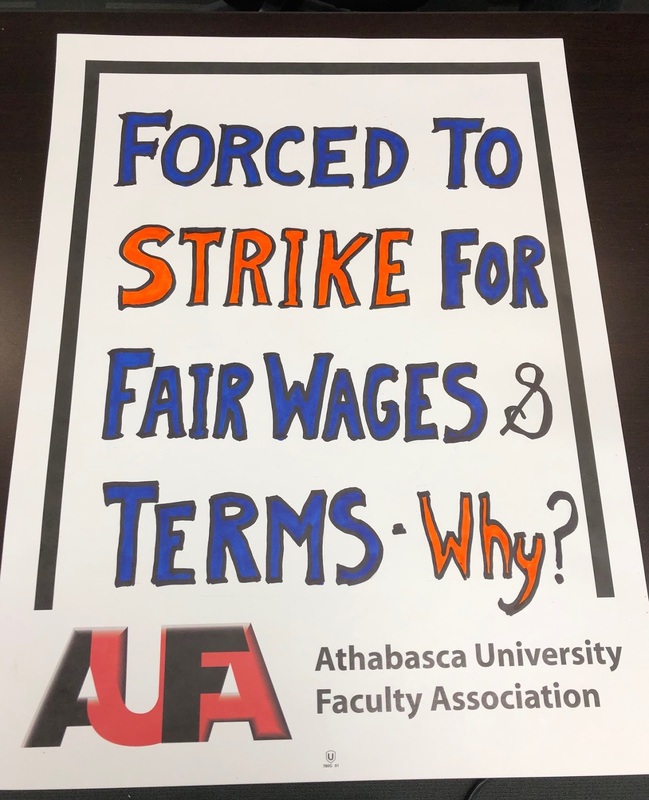 A work stoppage would result in the cessation of these student practicums, thereby severing the counselor-client relationship (likely on short notice). This has the potential to profoundly harm the clients serviced by these graduate students. 3. Operation of the Research Ethics Board (REB): The REB protects the health and safety of human research subjects by evaluating research protocols and re-evaluating them when adverse effects occur. A work stoppage would mean 9 of 10 REB members would be unavailable and the REB would stop functioning. This would also imperil AU’s ability to administer and receive Tri-Council grants. 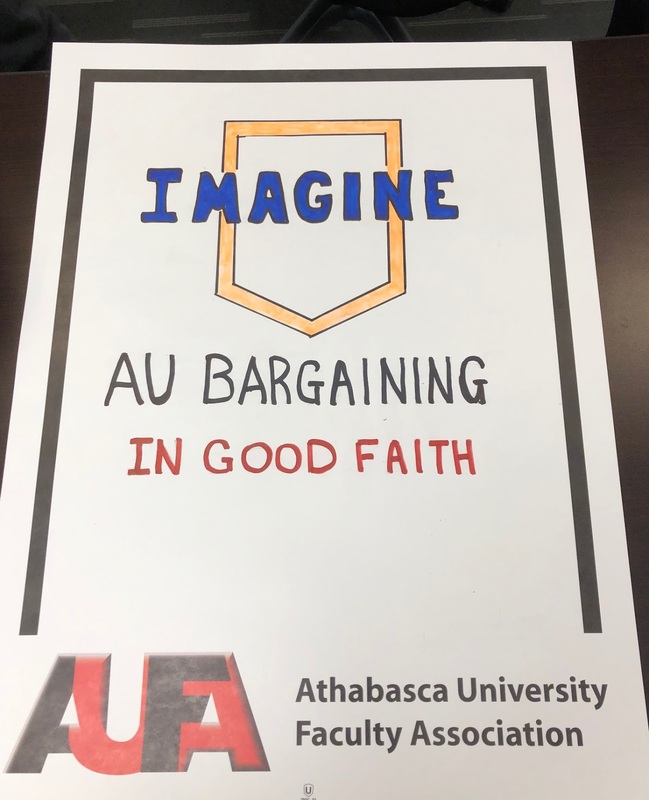 AU has rejected AUFA’s proposal, asserting (1) these are not essential services and, if they are, (2) they can be continued with non-bargaining unit staff. 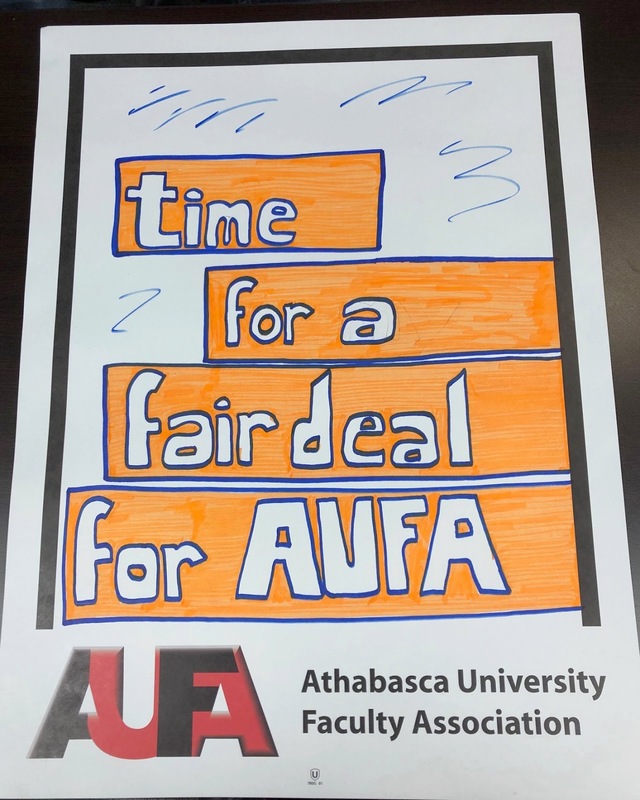 While negotiations may continue, AUFA has applied to the Essential Services Commissioner for a ruling on whether an ESA is required and, if so, what duties should it apply to. It is a strange turn of events that a union is forced to try and protect the public interest by demanding some of its members be exempt from a work stoppage. Typically, it is the employer that wants to exempt services (to weaken a strike) and the union that wants to narrow or avoid an ESA. 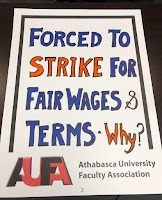 But the whole round of bargaining has been bizarre, with the employer acting super aggressively when (1) it is flush with cash and (2) the union is amenable to a wage freeze. About the only group benefiting from AU’s current approach is AU’s lawyer. It would be interesting to know how much cash AU has spent on its recent union-busting efforts?